Taking the act of screaming as its starting point, the group exhibition El grito (The Cry) examined an expression associated to liberation and joy, and also frustration and fear. It featured a selection of artworks exploring the political signaling of a cry, particularly as it related to histories of independence, ranging from personal battles to social struggles. The exhibition was organized with an interest to identify and comprehend the place or forms of emotional expression in contemporary art. El grito included twenty-eight artworks, most of them created in the last decade. The exhibition design was commissioned to artist Terence Gower. 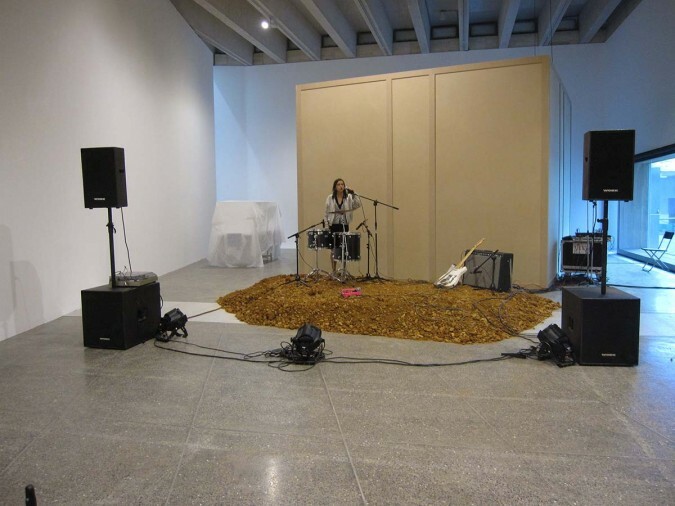 Performance was centrally featured in the exhibition. These took place in an area within the exhibition space conceived as a plaza pública. The Spanish artist Loreto Martínez Troncoso, the Mexican collective El Resplandor, and the Portuguese art collective von Calhau performed there new projects. The British artist Olivia Plender created a work in print for the exhibition.